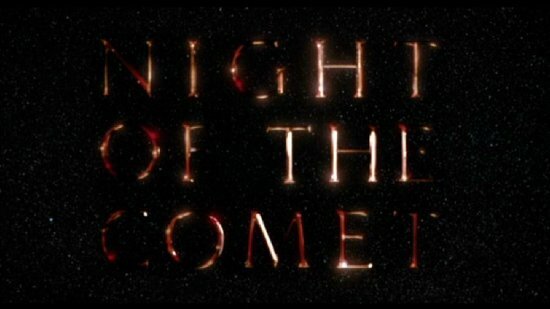 As the inhabitants of the world celebrate the night of the comet, Regina Belmont is working as an usherette at her local cinema. Instead of doing her job, she goes to the projection booth to see Larry who is trying to flog a 3D version of It Came from Outer Space. Deciding to spend the night in the 'steel' projection booth, they miss the comet ('it's not like you can't watch it on television'). Regina phones her sister Samantha to tell her she won't be home. Their stepmom Doris gets p***y and punches Samantha. To escape Doris' wrath Samantha spends the night in the 'steel' storage shed. The next morning, red mist moves across the vacant city. Littered clothes cover the pavements. Reggie wakes up and goes outside. The streets are deserted. Everyone is dead. Moving towards the alleyway a flesh-eating ghoul attacks her. She kick starts Larry's motorbike and rides into the desolate city. 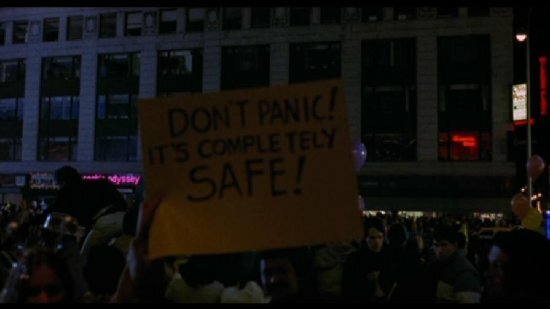 It can be difficult to describe a movie that takes its cue from other movies. 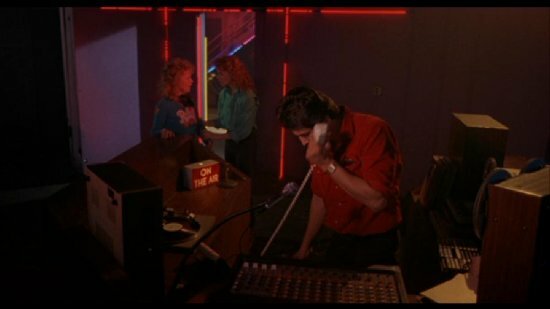 The easiest way to describe a popcorn flick like Night of the Comet would be to call it a mash up between George Romero's Dawn of the Dead (1978) and John Hughes' The Breakfast Club (1985). The wacky offbeat sensibility of Night of the Comet is a joy to behold. As two 80s chicks, one dressed in a cheerleader outfit (Samantha) and the other dressed in jeans (Regina) shoot up a car with a machine gun they remark, 'Daddy would have gotten us Uzi's'. If this casual line doesn't arouse your appetite then this is the wrong kind of movie for you. For genre fans, it's easy to fall in love with a farcical 80s sci-fi horror movie with zombies (think Night of the Creeps ). It's the whimsical warmth of Thom Eberhardt's direction that gives this movie its heart. It's obvious he's a genuine fan of B-movies (look out for the posters for Death Race 2000  and Escape from New York  in the foyer of the cinema). Even though you can see the budget restrictions (there are only a handful of zombies scattered throughout the city) you can understand why this movie has achieved cult success: it's smart, sincere and sweet. 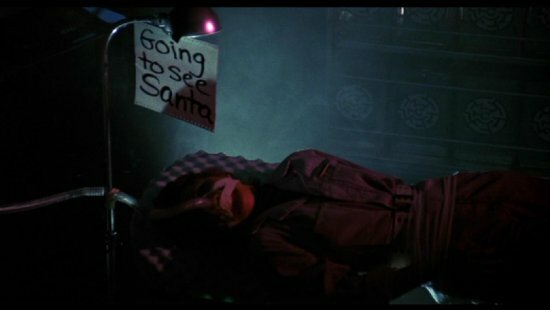 Part of the charm of Night of the Comet is also its witty sense of humour. If you love the idea of watching the male protagonist drive around a city in a red Buick dressed in a Santa costume then you know you're in for one hell of a treat. If you like wacky offbeat dialogue like 'Sweetheart, you haven't seen these freaked out zombies running around here? ', then watch this movie! 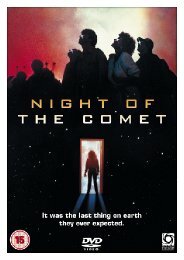 If you love movies with a cheap and cheerful tone, you will be thankful to have Night of the Comet in your collection. 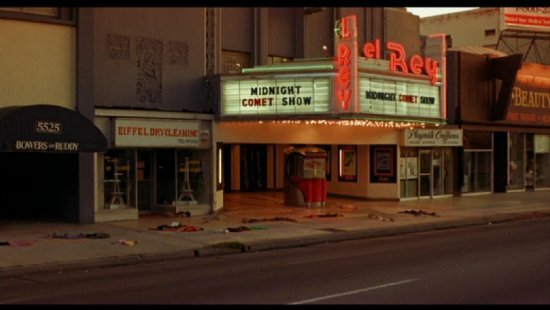 Like other cult classic B-movies there is more to Night of the Comet than its wacky sense of humour. It contains genuine terror. 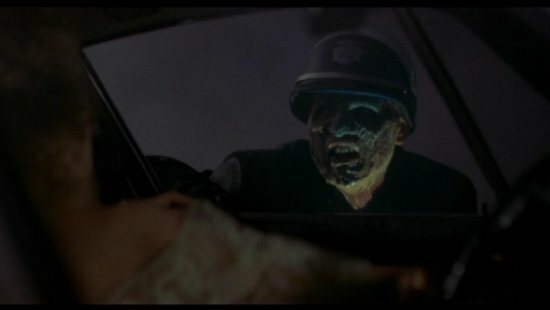 The dream within a dream, in which zombie police attack Samantha while she's driving down a deserted road, is horrible. To appreciate this think about the fear we have for authority. Imagine watching the principles of our so-called civilised society crumble into dust as zombie police try to kill you. Would you be scared? 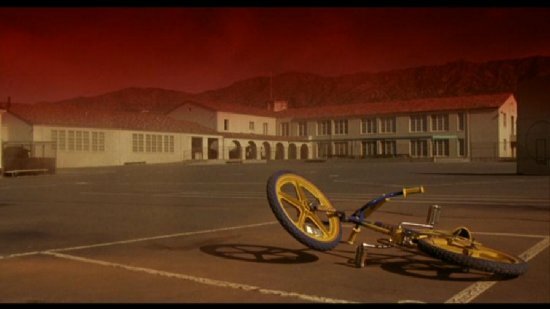 The 'end of the world' cinematography of Night of the Comet is also harrowing. Watch as Regina drives past an abandoned car, which plays Christmas tunes. Watch as machinery still functions even though nobody is there to use it. 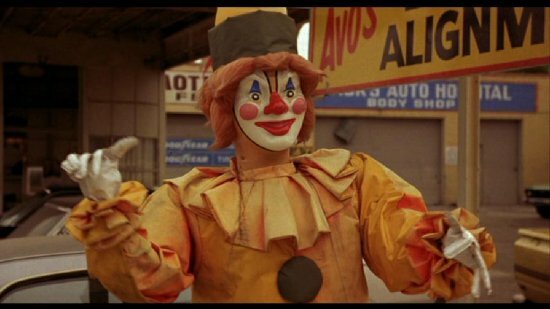 Watch as a clown waves to phantom customers at a used car lot. Watch as red dust moves through the deserted city. Watch as a table of discarded half-eaten food beings to rot. Watch as the piles of clothes flutter in the wind. This is the stuff of Stephen King. Verdict: An electric piece of cult cinema, Night of the Comet is a classic! They came. They Shopped. They saved the world!